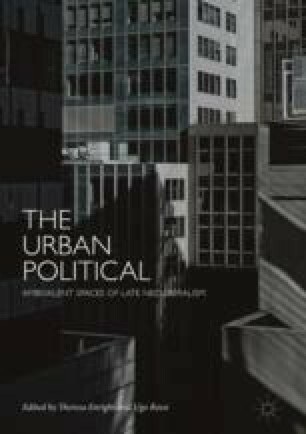 This chapter argues that urban shack settlements have become a paradigmatic site of anti-black necropolitics in contemporary South Africa. It explores the community of Cato Crest in Durban, where land occupations by shack dwellers have resulted in violent confrontation between members of the radical movement Abahlali baseMjondolo and the local state led by the African National Congress. Any attempt to grapple with the conditions of the urban political in contemporary South Africa will have to begin with the lived experience of shack dwellers like Nkululeko Gwala, who lost his life in a struggle for a second transition in South Africa. As such, the chapter argues for an expansion of the concept of precarity to include the forms of existential threat beyond the workplace facing urban shack communities. This conception of precarity must be coupled with an analysis of surplus exclusion from circuits of capital and with the enduring nature of anti-black violence. In South Africa, to think politically is to think racially. Grant Farred, “Shooting the White Girl First,” p. 240. This chapter benefitted from critical feedback and suggestions at various points in its development. I would like to thank Theresa Enright, Ellen Louis, Kristen Maye, Chris Courtheyn and Chelsea Schields for their close readings of the text and their detailed comments. Those who attended my talk at the University of Witwatersrand’s School of Architecture and Planning, where an earlier version of this chapter was delivered, offered extremely useful remarks. Specifically, I would like to thank Richard Ballard and Marie Huchzermeyer for their responses to the paper I delivered in Johannesburg. All shortcomings in the chapter remain my own.